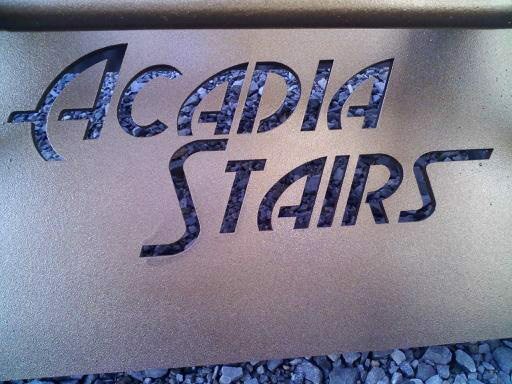 Acadia Stairs offers many different finish options for the contemporary and modern staircases that we manufacture. 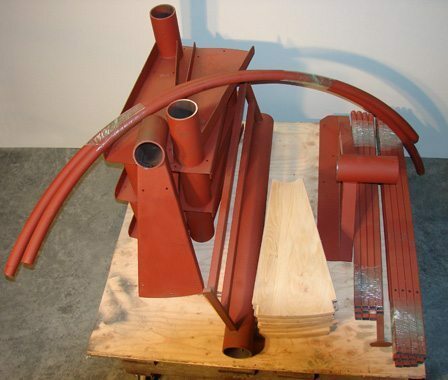 We have a wide variety of powder coated colors, and have particular options available depending on the material you choose for your staircase. 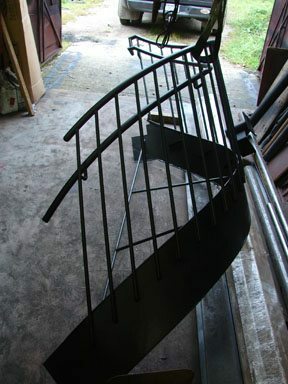 Aluminum stairs can be sandblasted, primed or powder coated. 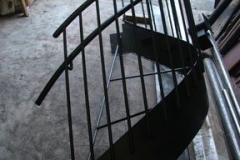 Stainless steel staircases are available with a mill finish, glass bead blasted or a #4 brush finish. 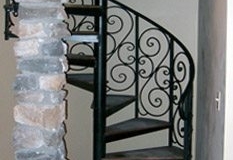 We can also leave your staircase unpainted or simply primed with red-oxide or flat black primer. We want your stair to have the look that is right for your project, so if you do not see the option that you prefer here, please ask! We can typically accommodate your favorite color or finish. 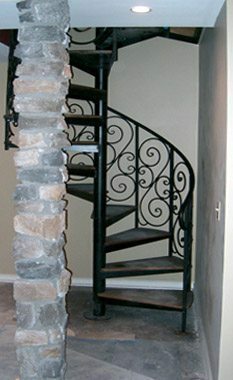 We also can paint your modern or contemporary staircase with Rustoleum products. 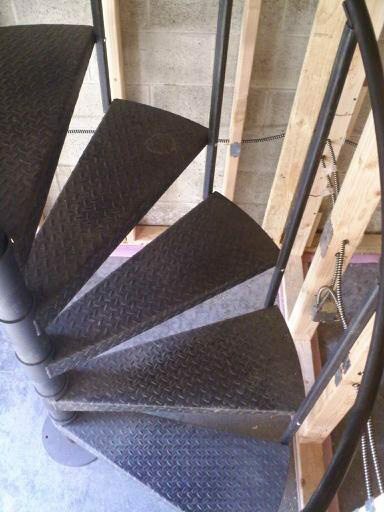 Many of our clients choose to have their stairs primed for finish painting in the field. 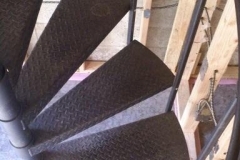 Just let us know what your stair inspiration is; we can deliver our custom designed staircase prepped with a basic mill finish, sand blasted, primed dark or light according to your painter’s recommendation! We normally provide our wood products natural, ready for treatment by others in the field. 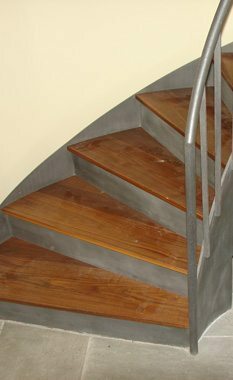 Our wood treads come finish sanded, but you may choose to sand with with a fine-grit sand paper before using your favorite treatment. There are a huge array of treatments for wood available today such as stains, oils, polyurethane and epoxy finishes. Consult your local paint supplier or lumber yard as to the best wood finish for your application. Any wood we provide should be sealed or stained as soon as possible upon receipt – before installation. 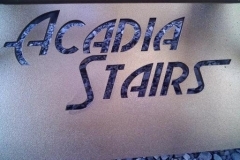 Some clients choose to have Acadia Stairs finish the wood for them. 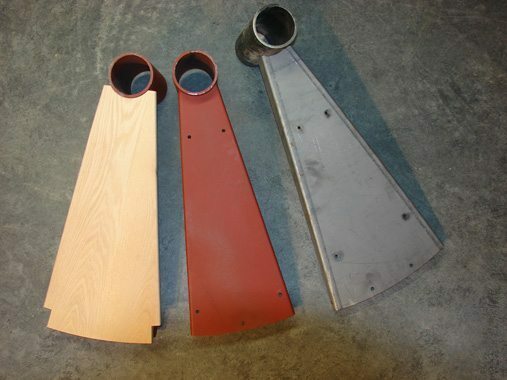 We offer our wood products treated with a semi-gloss clear coat polyurethane. This basic treatment ensures that the wood is sealed, and will resist damage and wear. 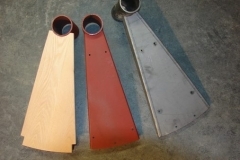 Depending upon the application we may use 3-4 coats of polyurethane on your treads. 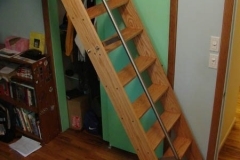 This service is provided at an extra cost above the normal price of the wood treads upon your request. We offer clear coat to allow the natural character of the wood to show. We do not stain or color any of the wood products we sell due to the discrepancies in hue and wide variety of individual taste of our clients. All wood products are subject to normal color change according to the species, and exposure to sun and weather. Wood is a natural product and will have some variability from piece to piece. We provide ‘select and better’ wood so it will be long grain, free of knots and clear of blemishes. 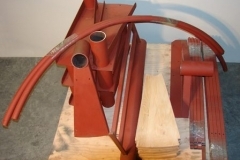 Special offers for rough-cut wood treads are sometimes available while supplies last. These wood treads may have knots, rough grain, saw marks, checked edges or other imperfections on the bottom side of the tread. 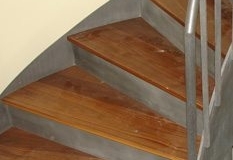 These wood treads are perfect for closed riser stairs or stairs that the under side is not visible. 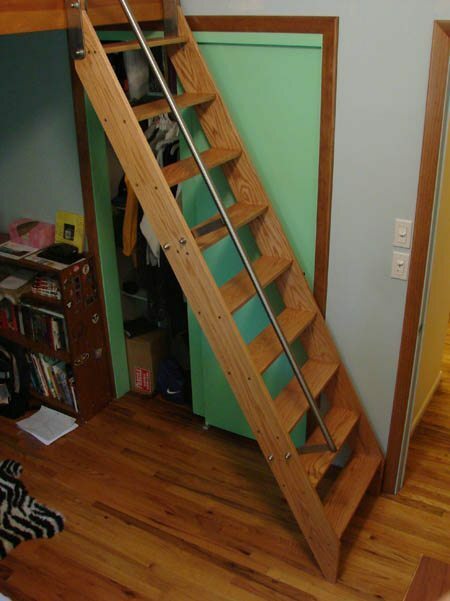 In the interest of being a stair manufacturer that is environmentally friendly as possible, we provide these seconds and over-stock wood treads so that they do not go to waste and are offered at a substantial discount over our premium custom made wood treads.